A few things to blog about, but such little time. First Battlefield 3 has been out just over a week and has sold 5 million copies but Call of Duty Black ops sold that in its first day. So the analyst may be right Call of Duty just might outsell Battlefield 2-1. Minecraft has won the GameCity video game arts prize! It is a pretty beautiful game – in a blocky sort of way. It was announced at the end of the GameCity video game culture festival in Nottingham! It won over other big titles like Valve’s Portal 2. ‘Its a great honour to be compared to those games’ Says Swedish creator Markus ‘Notch’ Persson. the game has been bought over 4 million times world-wide even though it’s still a beta! Remember it is due out next month. The Grand Thief Auto v (GTA) trailer is out. I don’t know much about GTA so I probably won’t be blogging about it. 007 Goldeneye: Reloaded comes out today for Europe. It stars Daniel Craig, with better graphics than the Wii version. A multiplayer is also included along with a story-line and a MI6 ops mode. For more info click this link. Gaming Season, as certain people like to call it has begun, with the big titles coming or have come out! 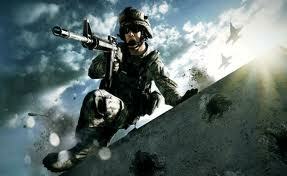 Battlefield 3, MW3, 007 Goldeneye: Reloaded, Forza 4, Need for Speed: The Run, Soul Calinur V and Ace Combate: Asault Horizon are among the titles. This really looks one of the best years yet in terms of Gaming! I just can’t wait till these games come out. Battlefield 3 races a head of it time – with ‘Dices’ new ‘Frostbite 2’ engine it delivers high FPS for a smooth appearance. There are 4 classes for multiplayer: assault, support, engineer and sniper some with special abilities equipment. Vehicles such as tanks and jets can be flown in multiplayer. The Maps are huge giving you more room and being capable to have a large number of players. 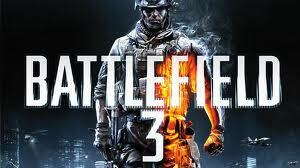 Battlefield 3: A simulator like no other! Today I was browsing YouTube and came across a ‘Gadget Show’ clip of a BF3 simulator where you are the soldier. You move – He moves, you shoot – he shoots … you get it. The full ‘article’ will be on Monday 24th October and looks a cracker. 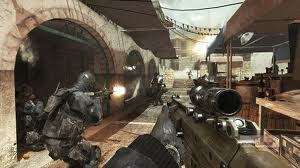 But the question must be asked, will there be a Modern Warfare 3 version? Watch the clip here.